Announcing the 2016 Main Street Brewfest Beer Lineup! The 13th Annual Main Street Brewfest is just a few short weeks away, and lead sponsor Lipman Brothers is once again bringing a first-rate lineup of local, national and international beers to the festival in downtown Franklin. 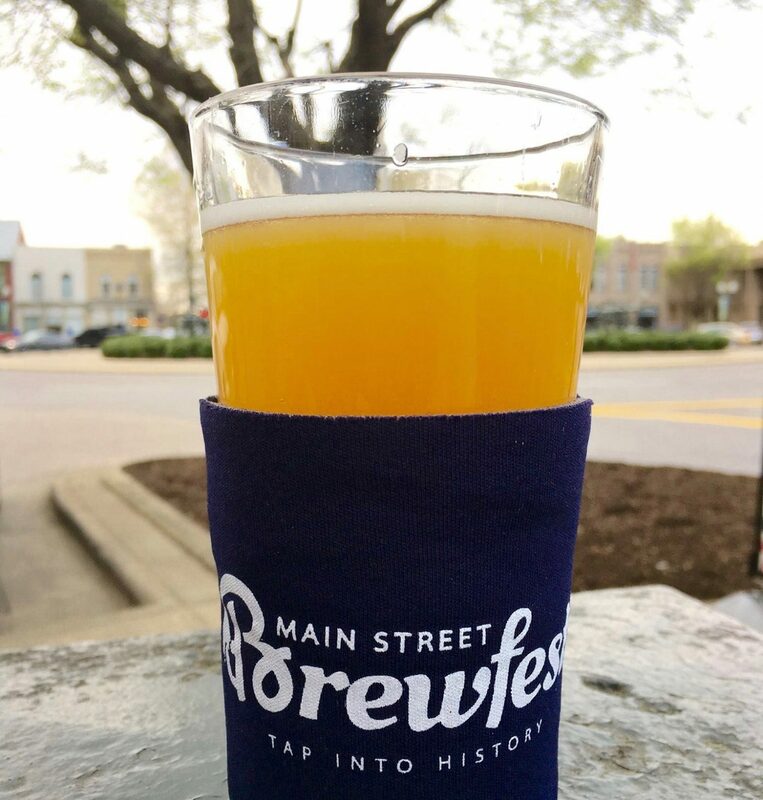 More than 35 different breweries will offer a selection of over 80 craft beers at tasting sites in and around Franklin’s famous Main Street on Saturday, May 7. From 2 p.m. to 6 p.m., attendees will “tap into history” as the Public Square and Main Street play host to 37 different tasting locations. Among the highlights are breweries such as Stiegl of Austria; Hi-Wire of Asheville, N.C.; Yellowhammer of Huntsville, Ala.; Paulaner of Germany; Oskar Blues of Longmont, Colo.; Founding Fathers of Long Lake, Minn.; Abita of Covington, La. ; Against the Grain of Louisville, Ky; Napa Smith of Napa, Calif.; Corsair Distillery, Mantra Artisan Ales and Cool Springs Brewery of middle Tennessee. Plus, patrons can expect shorter lines at tasting sites this year, as they have been restructured to offer keg-served beer for better flow of traffic and ease. Furthermore, the festival is adding another type of brewer to the mix this go-round. Local roasters will serve fresh coffee, brewed special for the event in the “Bean Garden,” which will be located in the Public Square at 3rd Avenue North. Honest Coffee Roasters, Muletown, Revelator, Mama’s Java, Eighth and Roast, Frothy Monkey and High Brow Brew are just a few middle Tennessee roasters that festival-goers will have the opportunity to sample from. This area will also host the “Luna Lounge” sponsored by Luna Records of Franklin, where local artists will be spinning tunes while guests sip on their java. Another addition to this year’s event are the VIP lounges, which will be located at JJ’s Wine Bar and Landmark Bank. These exclusive areas will provide VIP ticket-holders with an elevated Brewfest experience that includes a 60 minute head-start at all tasting sites, additional food, wine, a signature cocktail and beer options that won’t be available to general admission. Numerous local food trucks will also be strategically stationed throughout the festival, among shops, restaurants and entertainment venues that will be open in the historic downtown retail district to cater to the 2,000 plus in attendance on Main Street, which will be closed to vehicular traffic from 5 a.m. until festival clean-up. Kristy Williams, director of the Downtown Franklin Association says organizers are focused on a safe and fun street party, which includes safe ride options. The Franklin Transit Authority is offering round-trip transportation to and from locations inside Franklin city limits for a $6 fee. To reserve a ride, call (615) 628-0263 or email twilighttodd@tmagroup.org. In addition, we’ve partnered with Lyft ridesharing service who will be offering a 10% discount to existing users who use the code TAPHISTORY10. The DFA has also secured local company Ride Simply for May 7 and should call 615-604-0881 or go to ridesimply.com to reserve a safe two-way, flat-rate transit. Those looking to extend their stay can find hotels available by visiting visitfranklin.com. The Drury Plaza Hotel in Cool Springs will also be offering special room rates and shuttle service for festival-goers who call and request reservations using group #2270197. General admission tickets are $55, VIP tickets are $85 and Bean Garden tickets are $20. Participants can check in starting at 11 a.m., and tastings will begin promptly at 2 p.m. for VIP ticketholders and 3 p.m. for general admission, continuing until 6 p.m. Tickets can be purchased online at MainStreetBrewfest.eventbrite.com.